You and Me is a loving tribute to how fate brought two best friends together. An adorable cat muses about the what-ifs in life: What if he had slept late that one special morning? What if he’d missed his train on that fateful day? Then he might never have met his favorite person in the world, and his entire life would be different! Two friends delight in the incredible power of serendipity in this charming tale. 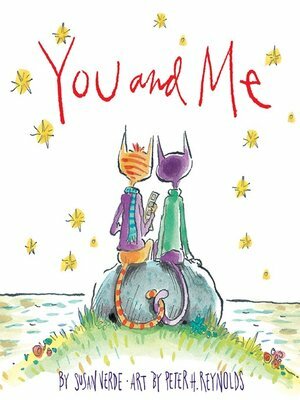 Illustrated by the bestselling Peter H. Reynolds, You and Me is the ultimate gift for the closest of friends on Valentine’s Day or any day of the year.